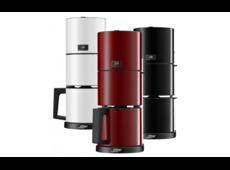 For finest brewed coffee we recommend our coffee machine in three different colors. Are you a coffee lover and high-quality products and good design in your kitchen is important to you? Then the high-quality and eco-friendly filter coffee machine by ritter may be exactly what you are looking for.